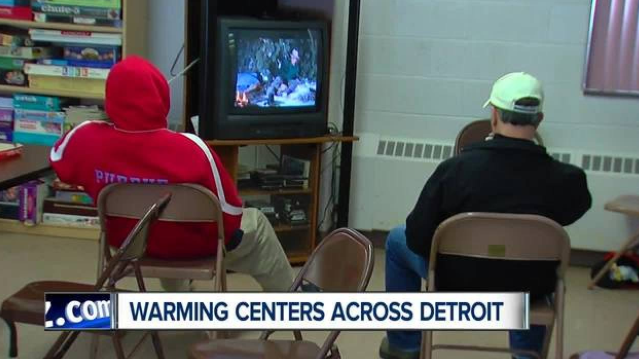 Warming centers are open to offer Detroit residents a break from frigid temperatures. City departments are mobilizing emergency resources for residents faced with housing emergencies, such as lack of heat or homelessness. As temperatures drop, the city wants to make sure they are prepared to address any and all problems that Detroit faces as a city each winter. Detroit is now providing shelter to those experiencing homelessness, addressing buildings without heat or even protecting some of the pets in the cold to ensure all Detroiters have a safe winter season. For all other residents looking to avoid the cold temperatures, the city has opened three warming centers, in conjunction with two local nonprofit homeless service providers. The City of Detroit is contracting with Cass Community Social Services and Detroit Rescue Mission Ministries (two locations) to provide temporary relief to persons who are homeless when year-round shelters may be at capacity.